MANY ways to be beautiful Women's done. Some people simply rely on Cosmetic to be looks beautiful. However, many also use modern drugs, not even plastic surgery. When it’s not satisfactory manner, there is one option, that is full-blooded Face. Full-blooded face actually is part of full-blooded Therapy that has been practiced in China since several centuries ago. 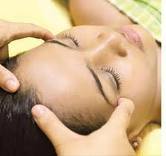 Blood blooded done in certain way of doing massage in the whole body so enabling the circulation of blood flow. Over time, blood full-blooded technique not only used for healthy body, but continue to be developed so that now can be used to focus on facial beauty. The process of full-blooded face: first, face will be cleaned of dirt before using cleaning agents face. After that, the face gently massaged so that feels very comfortable. - should be performed for a minimum age 17 years. - Do not do it if the face acne. Relieves stiff including eye area to reduce eye minus. Optimal results of full-blooded face will be visible at least after 5 times therapy.